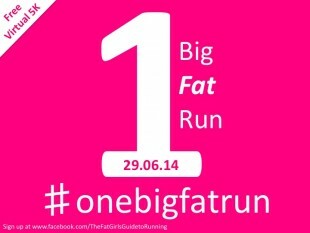 Often overweight people, or simply non runners contact me and ask me how I started running and how they as a newbie should approach it – so the pages which you will find in this menu give you some basic instructions for how to get started and some further information of tricks and tips of how to keep going. Remember for you to keep up with this running malarkey you have to enjoy it, so choose routes which are interesting, distances which are long enough to challenge you but not so long that you give up and go home. One last thing…BREATH…its easy to forget that your body needs oxygen to work, especially to work out. Sort out your breathing and you will find running a whole lot easier. If you can talk and run then you are probably not working hard enough, if you are struggling to breath and talk then you are going to fast. You should be able to keep a conversation going with short bursts of words only. If you feel like you need to walk then that’s fine, but try and slow down for a bit first, running at a snails pace is fine. Find a pace that works for you and improve on it gradually, there is no point in sprinting for 10 seconds and then having to walk for the next 3 minutes to recover. Good luck…and let me know how you get on. Hi there! From America and I love your blog! I am plus size yet very active. I too get agitated when I hear people say you can’t be big and fit at the same time. I train in kettle bell sport, strength training, sandbags, and endurance 5 days a week. Running is still an exercise I feel self conscious of but I am slowly breaking that barrier down with the help of my 10 year old daughter- we try to make it fun like setting up our own obstacle courses. Its the one exercise I can get her excited about and we can do together! Great blog and inspirational-please keep spreading the message because all plus size exercise fans need to see how supportive this community is and how fitness comes in all shapes and sizes!